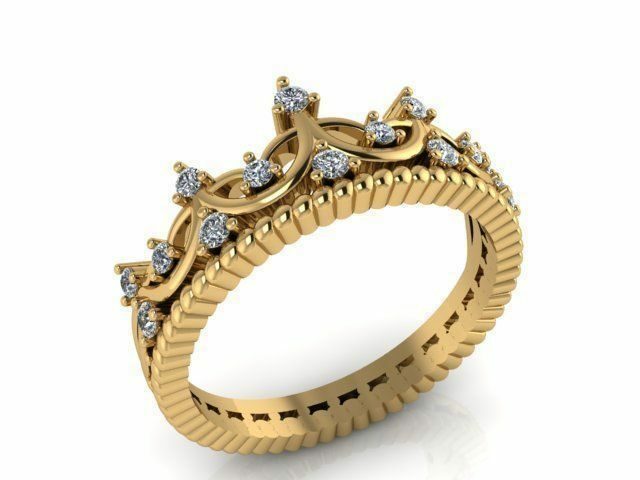 This Scalloped Crown Ring was designed to look like it has crowns going around it, yet not be made with crowns. It has 14 stones in it ranging from 1.5-1.75mm and a wide variety of gemstones can be used. This Scalloped Crown Ring is 8mm wide, but it could be made slightly narrower or wider. The scalloped band at the bottom could also be changed for a plan band. STONE SIZES: 3mm and 1.8mm. But other sizes could be used. The listed price is for a Silver Ring with CZ or a lab gemstones. 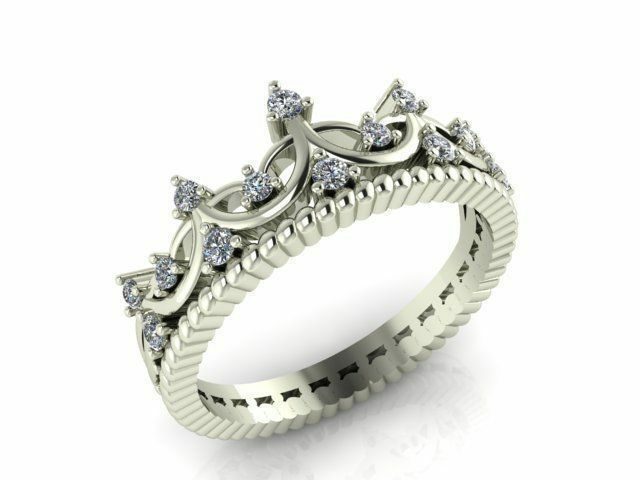 Click HERE to see another of our Crown Ring designs. If you have an idea for a different Scalloped Crown Ring, send it over and we will see what we can do for you.